I was recently asked if I would like to trial a product called Regenovex. It is a product that is meant to relieve joint discomfort. I personally don't have any joint problems but my mum sadly suffers from quite severe arthritis so I gave the product to my mum to try to see if it would relieve any of her symptoms. The idea behind Regenovex is that it lubricates the joints, in turn reducing wear and tear and helping to reduce any inflammation around the joints, all of this works together to relieve the discomfort in the joints. Regenovex contains natural active ingredients. One of the ingredients is Bionovex oil, a special green lipped mussel sourced exclusively from the fresh coast of New Zealand, this has an anti-imflammatory effect. Another ingredient is a high grade hyaluronic acid, I bet your wondering what that is, let me explain, it is a long chain natural polymer molecule which is essential for maintaining the cartilage in the joint and is a key component of synovial fluid which protects and lubricates the joints. Regenovex can be bought as a gel which can be put directly on to the site of pain or it can be bought as capsules which should be taken daily. We were sent the gel, it came in a 40ml bottle. Now as I mentioned my mum has quite severe arthiritis which now affects most of her body but one of the main problem sites is her hand, more specifically her thumbs. The first time my mum applied Regenovex to her thumb, it took all of a couple of minutes to kick in, her thumb which she has struggled to move at all could easily be moved as shown from the picture below. Honestly my mum was so surprised because normal ibuprofen gels etc just hadn't been working. 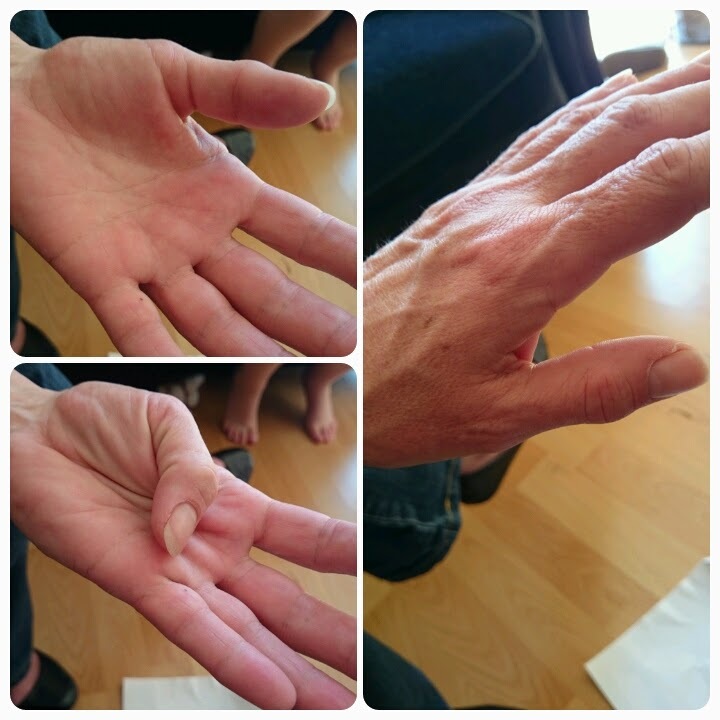 My mum has been using Regenovex on her joints for around 3 weeks now and has noticed a vast improvement to how she can move her joints and the pain that movement induces has greatly reduced. It is easy to apply, not greasy at all, it is fast acting and gets straight to the site of pain/discomfort. It's like a miracle gel, except it is not all good news. Despite how well the gel seems to work, the smell that comes from the gel is not nice at all and it doesn't disappear after applying it to your skin, it lingers and sticks to clothing, bedding etc. This is quite a big negative because noone wants to walk around stinking!!! 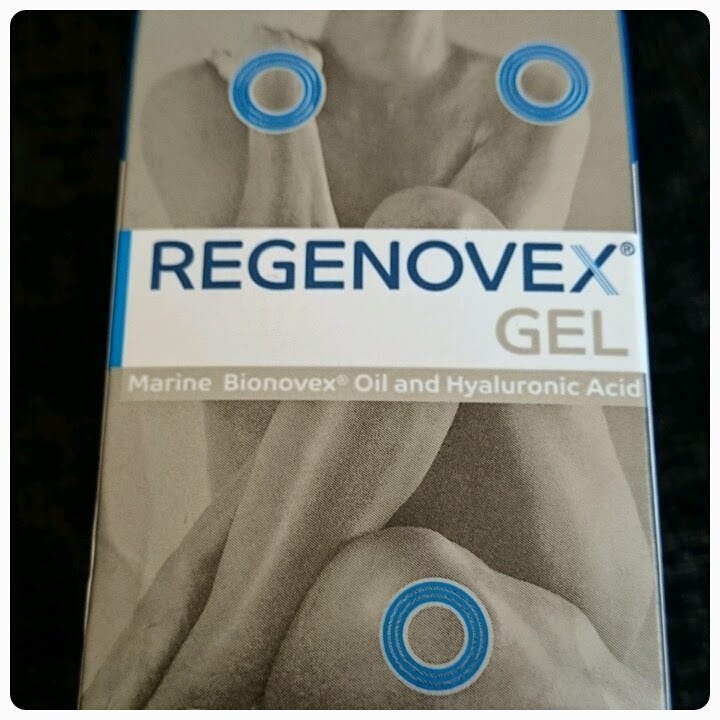 If the smell of the gel could be improved then my mum said she would recommend Regenovex to anyone who has any joint problems. You can purchase Regenovex exclusively from boots. The gel costs £10.49 and the capsules cost £23.99.